I can’t believe it’s been more than a month since I reviewed a young adult book, but that’s all right. I enjoyed catching up on the middle grade, too. Today I’m reviewing a book I picked up because I thought it might work as a comp title for my violin story, and the magic side of it does, so bonus! But also, I thoroughly enjoyed it, so here goes. Here are the five things I loved most about the book. 3. The secondary characters – From Liv and her sister Mia’s Christmas-loving au pair Lottie, to full-of-himself Jasper (who she labels Shaving Fun Ken), to Persephone Porter-Pergrin chattering non-stop until she freezes at the sight of Jasper, each character is so well-drawn. I also enjoyed how Ms. Gier used the dream doors to represent the characters in the fantasy world. 4. The swoon-worthy boys – While the description makes it seem like all four of these boys are to be admired, really only two of them deserve attention from a personality standpoint. One of them–Grayson–is off-limits as Liv’s future stepbrother, which leaves Henry. He’s cocky, obnoxious, and continually leaves Liv guessing–which is probably why I loved him. Some readers might not like this kind of boy, but I generally do. Note that Liv tends to be rather cocky and outspoken herself, so it’s a good fit. I enjoyed the romance side of the story, and since it’s planned as a trilogy, I’m interested in seeing where it goes. 5. The ending – I wasn’t sure how this book would leave room for further stories, but it managed to tie up the main story and then end with rather a cliffhanger. However, it wasn’t the kind of cliffhanger I found frustrating. I’m anxious to read the next book but not foaming at the mouth :). Overall, I thought this book was a unique take on dreams, and I really enjoyed the setting. 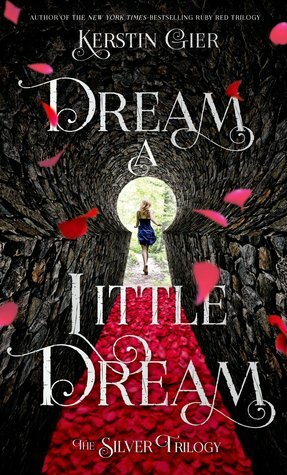 Have you read DREAM A LITTLE DREAM? What did you think?